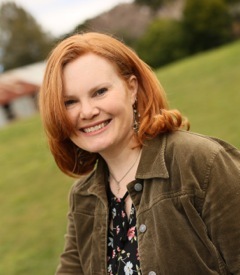 Serena Bellingham is faced with an impossible choice. Either leave her struggling family to serve the eccentric genius, Edward King, or stay, only to see the same man imprison her father. Her decision leads her to Aleron House, a home shrouded in secrecy, strange attitudes and even stranger happenings. Is Edward King all that she has heard, or is the truth something entirely different? Is it possible that the handsome architect might need her even more than her beloved family does? I'm always a fan of a fairy tale retelling, and if it's set in Australia so much the better. 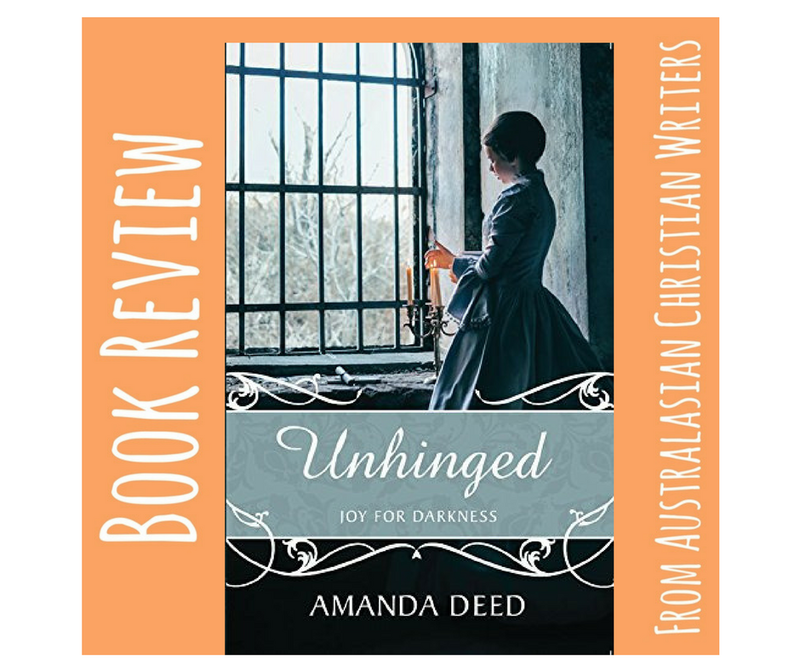 After attending Amanda Deed's online book launch for Unhinged I was pretty keen to read this novel, especially as it's set in various suburbs of Sydney, some places which I recalled having either visited or heard about. So, with high expectations, I started reading - and finished it the next morning with a smile. Unhinged is much more than just a retelling of Beauty and the Beast. With its interesting detailing of life in 1840s Sydney and the way it touches on aspects of mental health, this story felt at once historically accurate and yet relevant for today. How easy it is, even (especially?) in Christian circles, for mental health issues to be skirted around, with sometimes little legitimacy given to the experiences of those who suffer. I liked the natural inclusion of faith, I enjoyed the referencing of historic figures, I could relate a little to the 'fever' of creative pursuit, and having recently visited Elizabeth Bay House near Sydney Harbour, I could definitely 'see' Aleron, the house depicted as 'the beast's castle' in this novel. This is my favourite Amanda Deed novel, and one fans of historical romance - and especially those who enjoy retellings of fairy tales - are bound to enjoy. Wonderful review, Carolyn! This book sounds delightful! 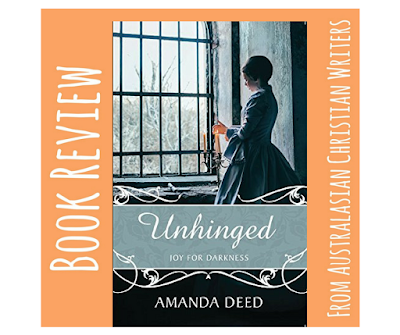 Looking forward to reading Unhinged --- enjoyed Unnoticed and love that it has an Aussie historical setting.